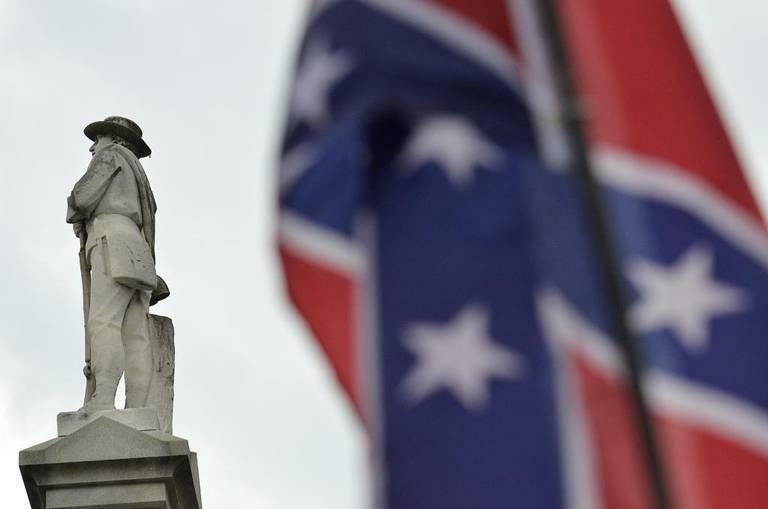 Charlotte Talks: Is Removing Confederate Symbols 'Correcting History' Or 'Changing' It? The head of the Gaston County NAACP has called for the removal of a Confederate statue outside the county courthouse, but county leaders that's unlikely to happen. White supremacist marches have renewed the conversation about what should happen to symbols of the Confederacy. What do these monuments and markers represent, and what would their removal mean? Mike Collins talks with a Pulitzer Prize-nominated Civil War historian and hears from both sides of the issue. Clearly, the events of Charlottesville have shown plenty of ammunition remains in the conversation about the place of Confederate relics in the 21st Century South. 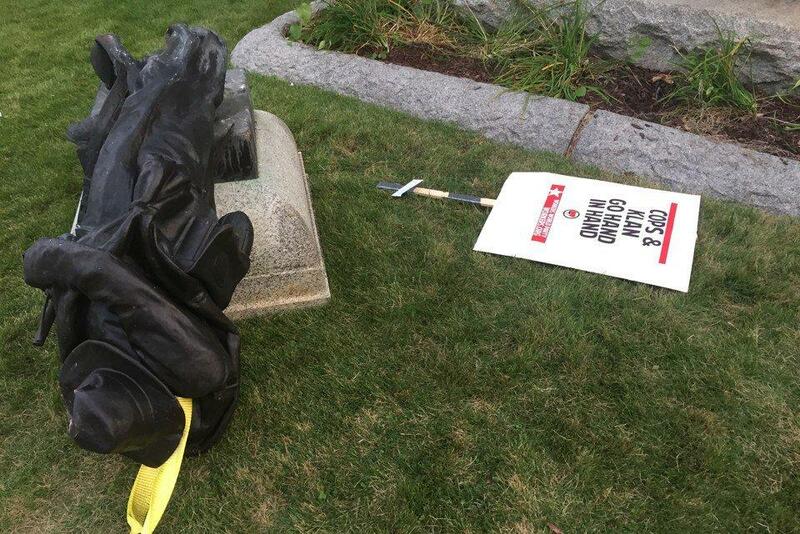 A Confederate statue outside the Durham County courthouse was toppled by protesters soon after the Charlottesville violence. Durham has become an epicenter of that conversation in North Carolina. Two days after the Charlottesville incident, a monument to Confederate veterans was toppled by protestors. Then a statue of Confederate leader Robert E. Lee in Duke University’s chapel was vandalized and, ultimately, removed. It’s estimated that North Carolina has more than 230 Civil War statues, markers and monuments, including ten in Mecklenburg County. One such monument in Cornelius was vandalized shortly after the Charlottesville violence. President Trump, in his controversial comments last week on Charlottesville, accused those seeking the removal of Confederate symbols of "changing history... changing culture." But New Orleans Mayor Mitch Landreiu, who was behind a successful effort to remove monuments in his city, said it was "correcting history." What is the story behind these mementos? Were they meant to honor those who fought, or the ideology that divided a nation? Would history be rewritten if they were no longer in public sight, as defenders of the monuments claim?